F is for Fashion | Ooh Something Shiny! I’m not a particularly fashiony person, but I seem to have developed a bit of a style. In the winter, it normally involves leggings or skinny jeans, boots, cardigan and some sort of tank or tee. Like this or this from Pinterest. I like to think that I would be fully prepared in the event I need to do yoga at the drop of a hat. The summer is tougher. Especially because I don’t like open-toed shoes. I did discover maxi skirts last year which I like. There are some interesting schools of thought lately, such as trimming down to a capsule wardrobe or employing the Project 333 system. I’ve even seen some articles about wearing the same thing every day. Here and here too. Sounds as if you’ve found a winter uniform that works for you. Congratulations! Many women find it really difficult to create a personal uniform. I enjoyed my visit to your blog today. I must say that I am a bit fashionless, but you’ve given me a lot to think about. Your go-to winter wear is rather classy, but I am afraid that Steve Jobs’ uniform is more suited to me. LOL! Seriously, your blog is full of fun and entertaining. 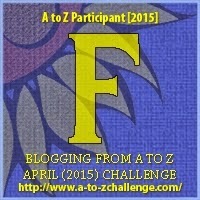 Enjoy A to Z this month!